Get thousands of facts right at your fingertips with this updated resource. 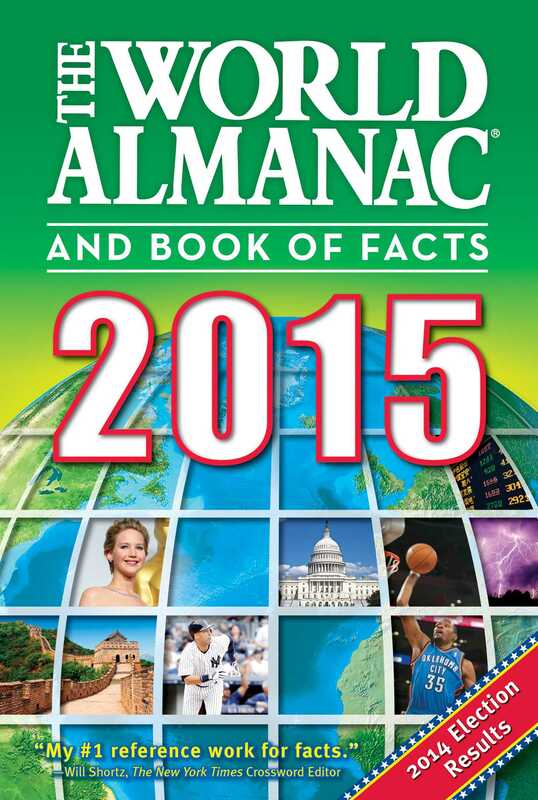 • The Year in Review: The World Almanac® takes a look back at 2014 while providing all the information you'll need in 2015. • 2014—Top 10 News Topics: The editors of The World Almanac® list the top stories that held their attention in 2014. • 2014—Election Results: Complete state-by-state results from 2014 midterm elections. • 2014—Year in Sports: Hundreds of pages of trivia and statistics that are essential for any sports fan, featuring complete coverage of the Men's World Cup in Brazil, 2014 World Series, Winter Olympic Games in Sochi, and much more. • 2014—Year in Pictures: Striking full-color images from around the world in 2014, covering news, entertainment, science, and sports. • World Almanac Editors' Picks: Time Capsule: The World Almanac® lists the items that most came to symbolize the year 2014, from news and sports to pop culture. • Offbeat News Stories: The World Almanac® editors found some of the strangest news stories of the year. • The World at a Glance: This annual feature of The World Almanac® provides a quick look at the surprising stats and curious facts that define the changing world today. • American Veterans: A Statistical Feature: After a year in which the performance of the U.S. Department of Veterans Affairs came under scrutiny, this statistical feature reveals important information on the health, employment, education, and future prospects of American veterans. • Health Care Statistics: Details about U.S. health care policy, including ongoing implementation of health care reform and the first statistics on federal and state health insurance marketplace enrollment, consumer costs, and much more. • World Almanac® Editors' Picks: Most Controversial Sports Team Owners: From Walter O’Malley to George Steinbrenner to Donald Sterling, the owners of sports teams have the power to change the game. The editors of The World Almanac® choose the most controversial franchise owners of past and present pro sports.